Stratford-Upon-Avon and surrounding areas, (Snitterfield, Bearley, Wilmcote etc.) Warwickshire. Have any more questions? Ready to reserve? 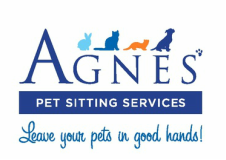 You can call Agnes today on 077 245 00086 or use the contact form to email us. If I'm not picking up the phone more then likely because I'm walking a groups of dogs or driving or no reception in the area so please leave a text or a voice message and I get back to you as soon as I can. Many thanks. Leave your pets in good hands!